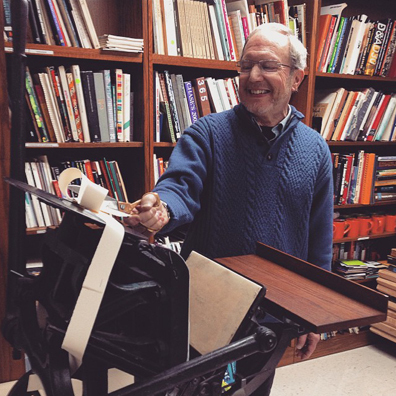 In the summer of 2014, two Kutztown University professors had an idea to restore an old tabletop Chandler & Price pilot press for students to use in their projects. After aiding them all summer sorting donated type trays, scrubbing rust from galleys and quoins that had been held in storage, and tracking down the tiny bits and pieces to make the room functional, Kutztown University had its own room dedicated to letterpress. It was deemed the Landis Press after John Landis, a retired KU professor who believed strongly in mastering type by hand even when the age of computers moved into the university. 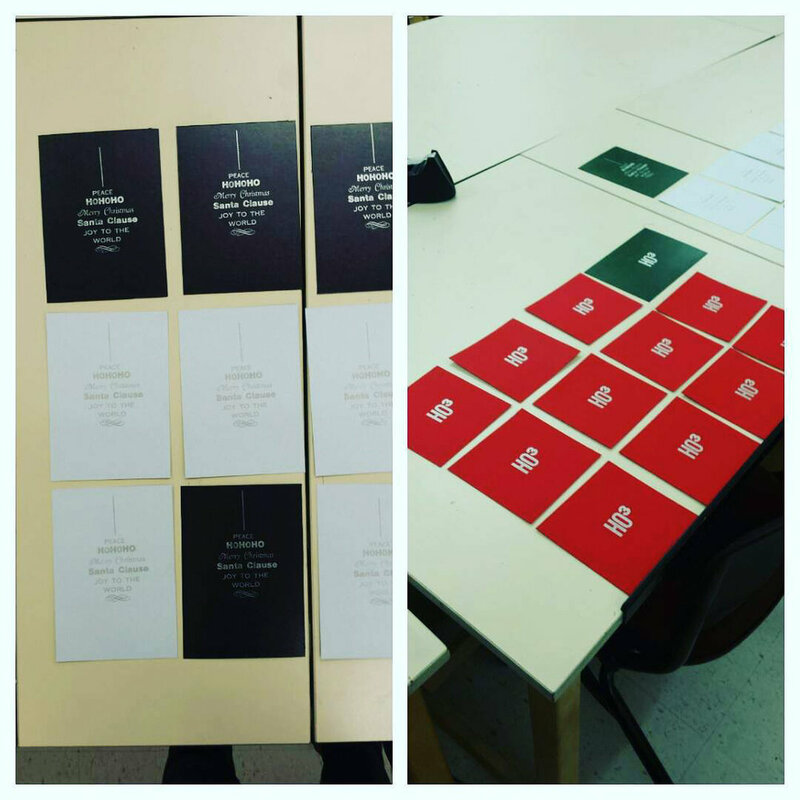 I hosted weekly printing demos free for students who wanted to learn how to utilize the letterpress for personal projects as well as classroom assignments. 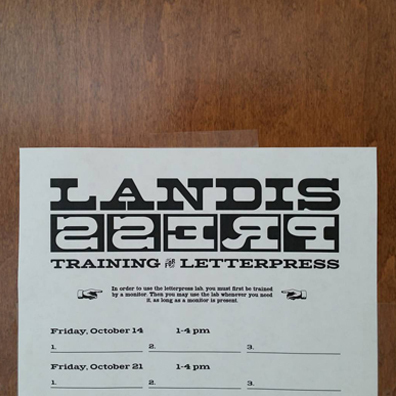 Its growing popularity among students caused the Landis Press to outgrow its original room. There are now three letterpress stations as well as a silkscreen station in the new space earning its new name: the KUVA Idea Lab.